From humble beginnings, Magenta has slowly started to make some money for herself. She started by taking a job in the Science career track, but a few days later, she was offered a position in the Medical field. She decided to take it and see how she fared as a doctor. 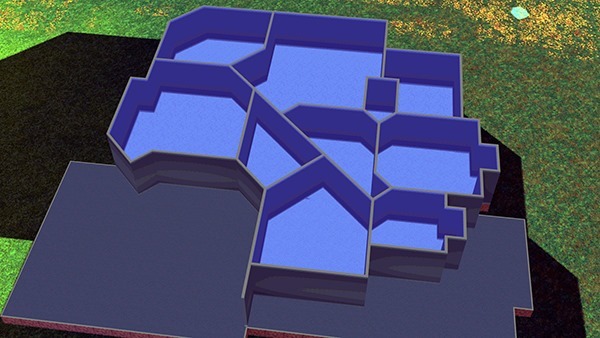 I managed to lay down the foundations and the first floor of her house (based on a plan I found online). As she earned more money, I added more rooms and eventually doors, windows, wallpaper and flooring. She won’t be living in this house for quite a while yet. Magenta decided to ask Quinn, the werewolf she met in the park, out on a date. Things were going well, so Magenta decided to go for a ‘heat of the moment kiss’. It worked and the date was a success! 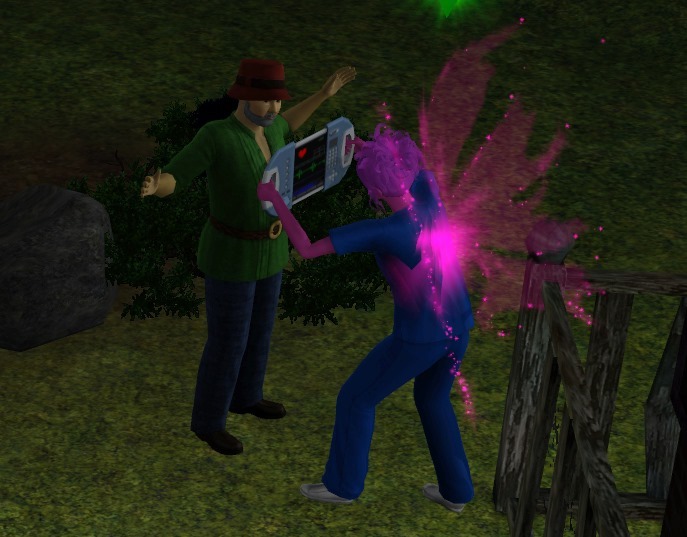 Back in the park, Magenta’s main hangout due to its food and entertainment options that she lacked at home, Magenta came across a man needing medical attention. She quickly whipped out her new medical equipment and gave him some rather questionable assistance. Since he was single and a fairy, rather than an undesirable werewolf, Magenta decided to go for the ‘heat of the moment kiss’ that had worked so well for her with Quinn. Needless to say, this gentleman was not even remotely interested! Magenta tried to handle his rejection gracefully…ish… She decided Quinn would make a good partner for her after all.